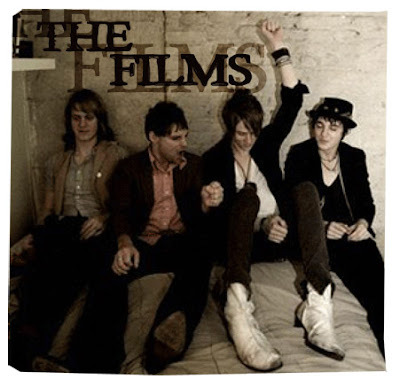 Everyone’s been buzzing about this new band called the Films, and thought that I had to check them out for meself. With their debut album just out titled Don’t Dance Rattlesnake and with pretty rocking singles accompanying the album like ‘Black Shoes’ and ‘Belt Loops’, this band might just prove itself to be worth all that buzz. The band is often described as a playful brand of indie pop-rock with hints of pop/garage rock revival akin to the Strokes during the early years. I wouldn’t be shocked to learn that one of the main influences is actually the Strokes. Although it may come out pretty obvious, that I’m not into Strokes’ music as much as anyone would think, but I’m more than obliged to say, that the Films has definitely got the kicks. The music definitely sounds more solid and they’re far less artificial than the guys from the Strokes, and I’m also just saying this to get on hamiezah’s nerves. Trust me when I say, these guys are definitely one of the bands that you should be looking out for in the year 2007.